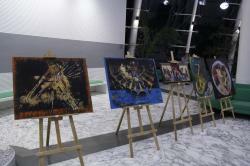 New jazz project is co-organized by the producer agency Premier Art Management with the Ministry of Culture and Tourism. 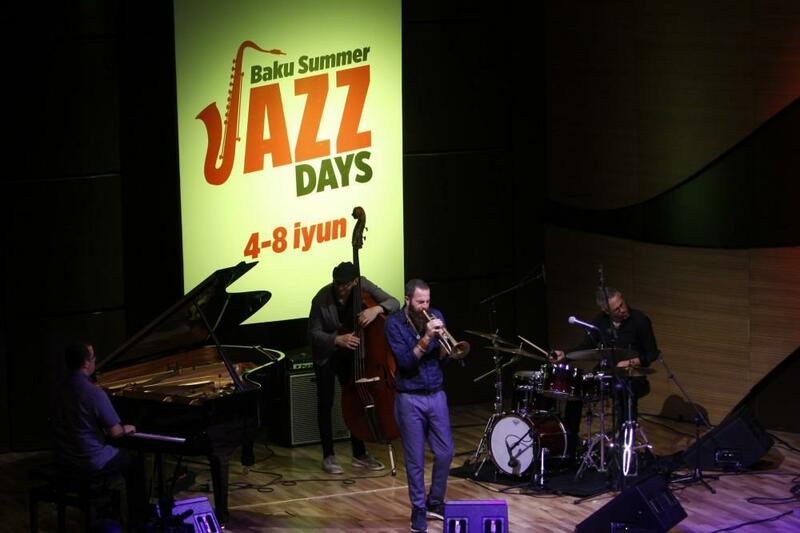 The first day of Baku Summer Jazz Days was marked by the performance of Israeli guests- one of the most widely discussed trumpeter Avishai Cohen and his quartet, which includes the most talented musicians Jonathan Avishai (piano), Barak Mori (bass) and Ziv Ravitz (drums). Addressing the event, Israeli Ambassador to Azerbaijan Dan Stav said that the well-known Israeli trumpeter Avishai Cohen will perform for jazz lovers along with his quartet. The Ambassador wished good luck to the festival participants. Further, the host of the evening, famous radio and TV host, jazz expert Rahib Azeri spoke about jazz traditions in Azerbaijan. 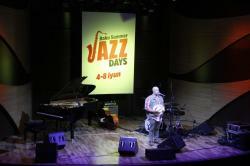 The history of Azerbaijani jazz music traces its origins to the 1930s. 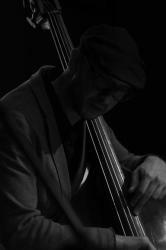 Avishai Cohen is a recognized musician and composer. He combines different musical styles. His individual sound and constant creative made him a calls the rising star of the world jazz scene. In 2016 alone, Cohen was named “Best Foreign Artist” by Jazz Magazine France, while Into the Silence was awarded “Best Album of the Year” by TSF Jazz and Academie du Jazz, and in the top 20 albums of the year by JazzTimes. 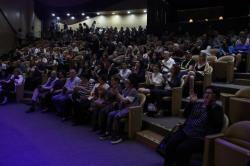 The concert was greeted with a standing ovation. Baku Summer Jazz Days prepares a lot of pleasant surprises for its guests. 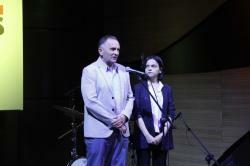 Five concerts with musicians from different countries are organized as part of the project. International Mugham Center will host a concert of national pianist Elchin Shirinov and a trio of famous Hungarian jazzmen of Andras Des (percussion), Marton Fenyvesi (electric & acoustic guitar), and Matyas Szandai (Double bass) on June 5. This is an international jazz project that was repeatedly demonstrated at foreign festivals. American funk bass player and singer Nik West will give a concert on June 7. On June 8, the audience will enjoy renowned musicians from France - the duo Jacky Terrasson (Piano) and Stephane Belmondo (trumpet) with their new project titled TERRAMONDO (Mother). 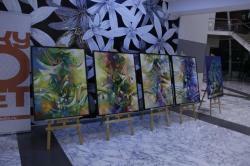 The foyer of the International Mugham Center presents an exhibition of young Azerbaijani artists who were inspired by the jazz music. Media partners of the event are Azernews.az,Trend.az, Day.az, Milli.az. The first jazz orchestra in Baku was created by famous national composers Niyazi and Tofig Guliyev in 1938. The State Variety Symphony Orchestra, became the core of national jazz. The flowering of jazz in the country came in the 1960s when such musicians as Vagif Mustafazade, Tofig Ahmadov, Rafig Babayev and "Gaya" quartet raised this musical direction to a new level. A remarkable event in the history of national music was the creation of Azerbaijani jazz - a kind of musical style based on the traditions of mugham. The first jazz festival in Baku was held in 1969. 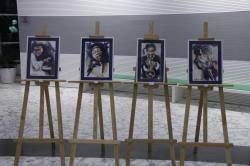 Annually there are various events and concerts with the participation of world celebrities. Azerbaijani jazzmen are participants and winners of many international jazz festivals and competitions.